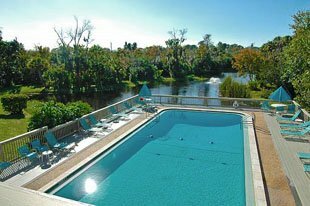 Pine Run is a condominium community that searchers for properties in the Osprey Fl real estate market can easily be enamored with. 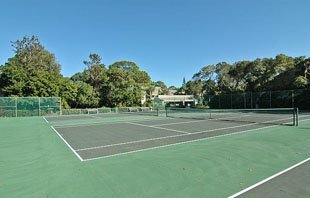 So close to the south end of Sarasota, we thought it fitting to also add this community to the Sarasota community list. Buffered by luxuriant woodland preserves and greenbelt areas, this twenty-acre-plus property is located only about half a mile west of the Tamiami Trail. It is in a zone between this popular highway and the Gulf Coast where communities have been masterfully developed since the 1920s to harness the area’s wonderful tropical Florida setting that has a special appeal to snowbirds and vacationers. The factor of location indeed immensely favors Pine Run. This piece of Osprey real estate is conveniently nestled midway between Sarasota and Venice where “west of the Trail” developments and facilities abound and are within easy access from the community. For instance, its main access street, Blackburn Point Road leads straight to the charming barrier island of Casey Key and its quiet, white-sand beaches. The Intracoastal Waterway, a channel for both recreation and commerce, also traverses the locality. The Pine Run real estate property was developed in three phases with its Section I completed in 1973. Development of the two other sections was finished in 1982. Altogether, there are 147 condo units in the neighborhood. Each of the sections has its own monthly maintenance fee, budget and declaration, although the community has a single association and board. The common facilities in Pine Run include a clubhouse, four tennis courts and two swimming pools with a meeting hall, locker rooms and showers. With these desirable features, an available Pine Run unit is a prized find among Osprey condos for sale. The starting price of a residence in the community is typically quite affordable too. A 586-square-foot, one-bedroom unit with one bath in the condominium can go fast at a quoted price of about $103,000. Larger condos can be as attractively priced, with ownership of a 1,300-square-foot unit having two bedrooms and two baths and half changing hands from around $150,000 up to $216,000. 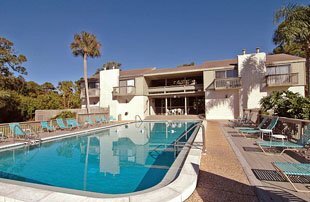 Besides the lure of nearby Gulf Coast attractions, Pine Run condos for sale draw buyer interest because of their proximity to exceptional learning institutions. One is the Pine View School for gifted students, which is only a short distance north of the neighborhood. Moreover, a large shopping center, the Westfield Sarasota Square Mall, can likewise be reached within a few minutes’ northerly drive from the community. In addition to its retail shops and classy boutiques, this mall is also host to dining venues and the movie theaters of AMC 12. Additional recreational and leisure facilities are within arms’ length of the Pine Run residents at the Oscar Scherer State Park less than a mile south of their neighborhood. As appreciable, the new Legacy biking trail, which extends from Venice to Sarasota, is just east of this truly engaging community. Below are all of the current real estate listings available for sale at Pine Run.